Hey Mama! 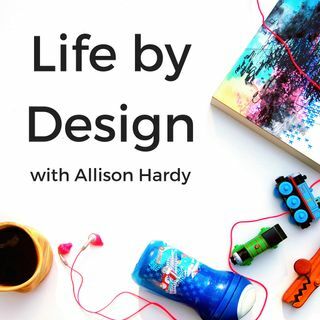 Welcome to episode #103 of the Life by Design Podcast with Allison Hardy! Today I have the pleasure of interviewing homeschool consultant, curriculum creator, blogger, and author, AND Legacy Mastermind-er Jennifer Elia. Jennifer is Founder of Aurelius Cabrini Homeschool Resource Center which is dedicated to giving homeschool moms the tools they need to thrive in their home education career. Jennifer provides one-on-one consulting, personalized and original curriculum plans, and ... See More practical advice for those just beginning their homeschool journey, as well as those who just need a little boost. She lives in New Jersey with her husband and four children whom she has been educating at home for the past 10 years. When Jennifer isn’t busy researching the best curriculum solutions, she enjoys gardening, crafting, and writing. > Despite teaching at the college-level and in elementary schools, Jennifer decided that homeschooling because she thought that the way the education system was set up, didn’t serve her children in the best way possible. Not every educational situation is right for every child. > Homeschooling isn’t an educational approach, it’s a lifestyle approach. > Homeschooling is not school at home, there is a BIG misconception around that. The only model of education that we know is being in school, so it’s important to reconsider the school model when it comes to your own home school. > Jennifer’s mission is to help moms who homeschool their kids. There are thousands of resources online for curriculum ideas, lesson plans, etc. but what she found to be the #1 pain point of homeschooling moms is the isolation. > The Legacy Mastermind has been a game changer for Jennifer when it comes to accountability and taking action on her dreams/plans. > The community within the Legacy Mastermind has been the thing that Jennifer has found to be the most unexpected aspect. The other women are just as invested in seeing you thrive. > Jennifer’s legacy is to helping not only women thrive in their homeschool lives, but also to help children love to learn.